NEW VIA RAIL BOOK: Free Copy, Anyone? To celebrate the impending sale of the 500th copy of my first book, Trackside with VIA - The First 35 Years I'm giving away two free copies of my books. 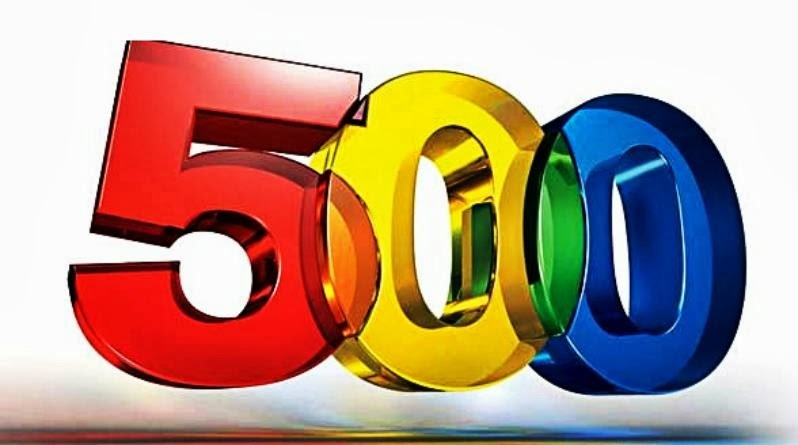 It's close - we're at 498! Frankly, as I've stated here before, I wondered if I'd sell more than 10 copies. There are more VIAphiles that I'd imagined, and the reach of the internet has proven to be incredible and international. It's been two and-a-half years, two books followed the first, and it all seems like just yesterday! Once this is posted, be the first to order a copy of all three of my books. You will receive your copy of Trackside with VIA - The First 35 Years absolutely free - that's a $25 value! The second to order a copy of all three of my books will receive Trackside with VIA - Cross-Canada Compenium Consist Companion absolutely free - that's a $10 value! Operators are standing by. You'll need to e-mail me at mile179kingstonATyahooDOTca with your impending order intentions; then I'll make sure your copy is free. This is one small way I can say 'thank you' to all those who have supported my books. 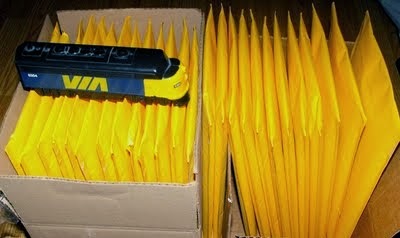 (First big shipment going out on May 30, 2011 - photo below). Here's another - Thank you!